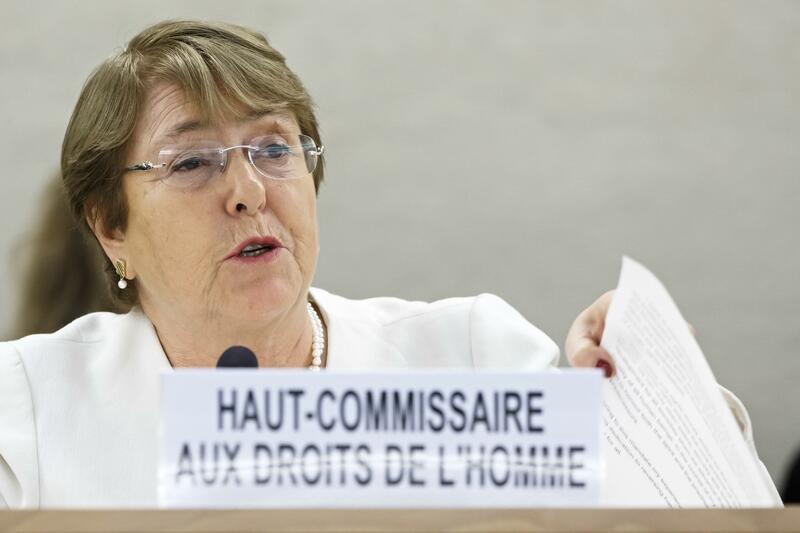 UPDATED: Mon., Sept. 10, 2018, 6:35 p.m.
GENEVA – The new U.N. human rights chief on Monday announced plans to send teams to Italy and Austria to examine migrants’ treatment, drawing a quick retort from Vienna. She didn’t say when either team would travel, or give other details in a written statement to the U.N. Human Rights Council, posted on her office’s website, in which she also called on the European Union to set up a dedicated search and rescue operation for people crossing the Mediterranean Sea. She didn’t mention sending teams to Austria and Italy in shorter oral remarks to the council in Geneva. Chancellor Sebastian Kurz said he welcomes Bachelet’s announcement as offering an “opportunity to rectify prejudices and deliberate false information about Austria,” the Austria Press Agency reported. Published: Sept. 10, 2018, 8 a.m. Updated: Sept. 10, 2018, 6:35 p.m.